Is there a bigger delight in sandwiches than trying something new and finding out it works? Such simple exploration yields tasty results and another reminder of just how wonderful sandwiches can be. They can be quite complicated, and a truly great sandwich is a rather difficult thing to construct. But a tasty, satisfying number usually isn’t far off, provided you’ve got a few things that are likely to taste good together. Pastrami and beets fit the bill, and now that I know it works, I imagine my future likely holds some quality pastrami and more stained fingers. 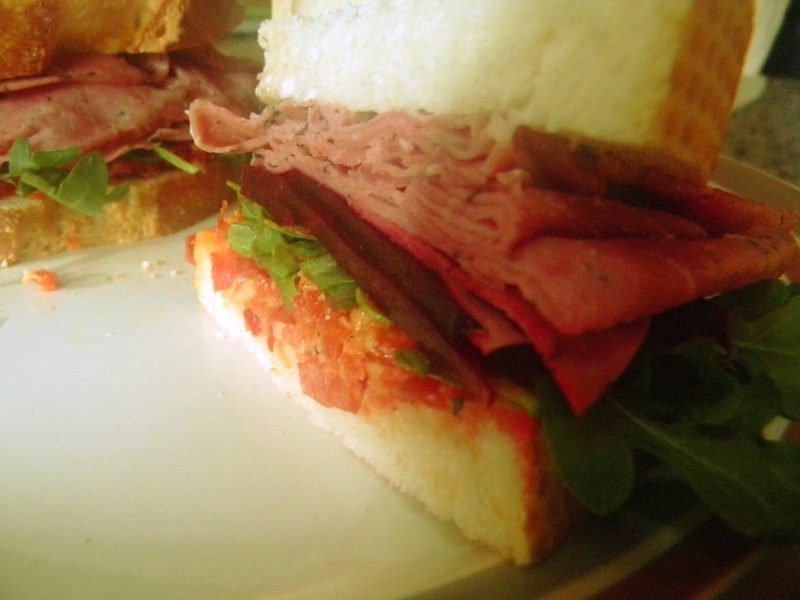 This entry was posted in Sandwich Reviews and tagged Pastrami, Reviews by Pete, Sandwiches I Have Made by Pete. Bookmark the permalink.